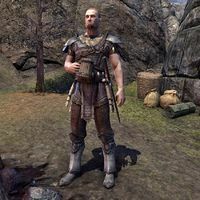 Beryn is a Breton adventurer found with his friend Garth at their camp north of Aesar's Web. After the quest, he'll express his gratitude: "If it wasn't for you, Garth would have been a meal for a spider." This page was last modified on 1 October 2017, at 22:52.